If you’ve been around a while, you are have noticed that my style airs on the side of classic. 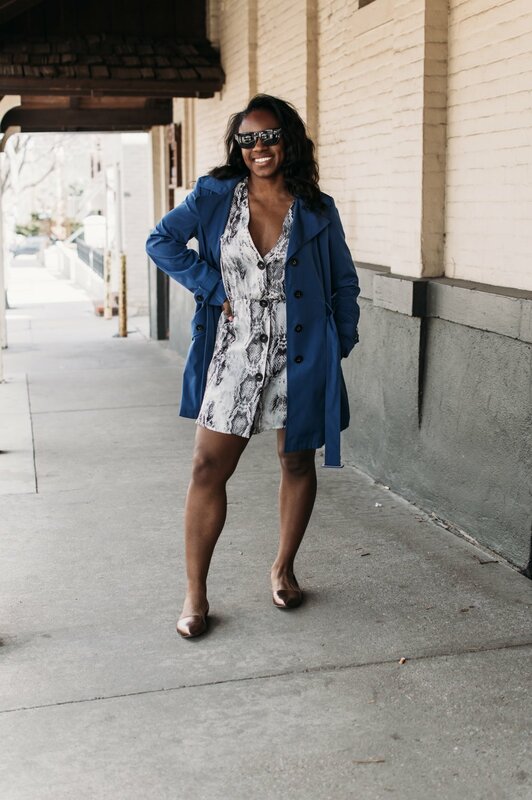 My self-proclaimed personal style is “modern takes on classics” in which I like to reimagine classic silhouettes and prints and breathe my own life into them. But every now and again, a trend comes around that just speaks to me. I see it everywhere and it just gets under my fashion skin and I begin the hunt for the perfect piece that fits that trend. The one at the moment is most certainly snake print! Perhaps the reason I’m dawn to it most is the versatility of snake print. Every single item in your closet can look great in a snake pattern, from thigh high boots, to dresses, to work appropriate trousers and beyond. But when it comes to trends, it’s about finding the piece that works for you. When I went on a hunt for it, I wasn’t sure what I was looking for. Perhaps a top, maybe a bag. But when I was wandering around in Zara and saw this light, airy dress hanging on the rack, I could not resist. Perfect for the spring and warmer weather months as a dress, or even unbuttoned as a cardigan, it’s versatility is evident. I mean…it could almost pass as a neutral! 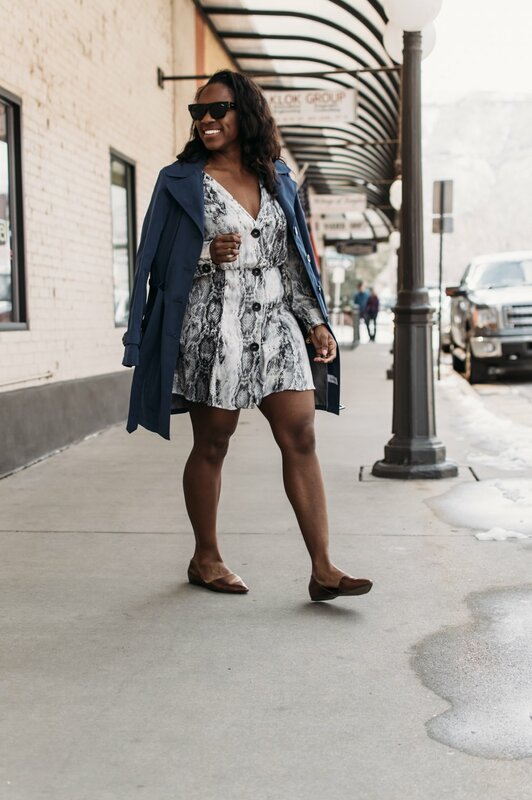 As I found this dress on sale (linked here) and it’s now unavailable, I have linked some similar styles and my favorite finds from the snake print trend! Those slingbacks and the wide leg pants are calling my name! What is your favorite trend at the moment? Dress Loudly. Love Loudly. Live Loudly..